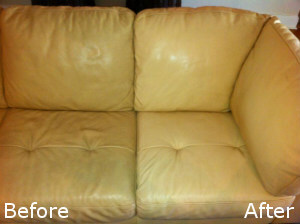 Our company is inviting you to hire the most perfect professional leather sofa cleaning service in Putney SW15. We all know that leather sofas are very beautiful and bring aesthetics and class into our homes, plus they are easy to clean from accidental spills. But for a comprehensive cleaning, they are very tricky. Leather is not easy to clean, because you can end up damaging it, if it is not cleaned properly. That is why we are offering you our professionals to do it for you. When in need of a leather cleaning service, turn to us. We are always ready to help. Our cleaners are very dedicated to their work and will go to extremes to make you satisfied with their work. They will vacuum your sofa, they will do a test to see if the cleaning product is safe on your leather and will get to cleaning. They are equipped with different cleaning products, that are appropriate for the different types of leather – aniline, suede, pigmented, nubuck. If you hire us for regular maintenance, we will help you keep your leather sofa investment worth its while. 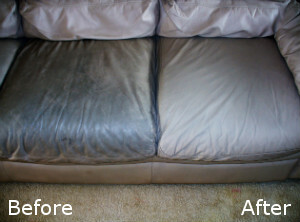 The condition of a leather sofa can be maintained with regular cleaning. Choose us, and we will help you keep its beauty forever. Our cleaners clean using amazing cleaning products, that will not only clean but also moisturise the leather. You can clean your leather on the surface, but it should be cleaned professionally several times every year. So pick up the phone and book one of our teams of cleaners to come and take care of your leather sofa. We guarantee you the best leather sofa cleaning service in SW15. Call us now.